The former chief justice of Indonesia's Constitutional Court has questioned the fairness of executing the Bali bombers under convictions which were previously declared to be unconstitutional. Until very recently Jimly Ashidique was the chief justice of Indonesia's Constitutional Court, where he remains as judge for the next few months. In an interview with the ABC he said that rulings of the constitutional court effectively change Indonesian law. 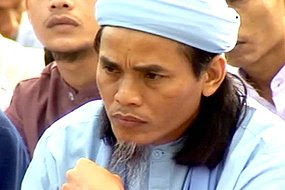 In 2004 the court ruled that it was unconstitutional to convict the Bali bombers under an anti-terrorism law enacted after those terrorist attacks. That decision however was said not to effect sentences which have already been handed down, such as the 2003 death sentences on Amrozi, Mukhlas and Imam Samudra. However Justice Ashidique said that according to Indonesia's criminal code any change in the law after a crime is committed should be decided in favour of the accused. "It is not fair," he said, adding that such decisions are up to judge's discretion. Next week Indonesia's Attorney-General will reveal the month in which the executions will proceed this year. Catholic priest Frank Brennan yesterday called on the Australian Government to speak out against the execution of the Bali bombers as it draws nearer.